Bill Granger is a restaurateur and self-taught cook whose relaxed and joyful approach to food is an essential element of his enduring popularity. Born in Melbourne into a family of butchers and bakers, Bill moved to Sydney when he was nineteen. There he opened his first restaurant, bills, at the age of 22 and now has three restaurants in Sydney, four in Japan and one in London. This year will see the opening of Bill’s second restaurant in London and first in Hawaii. Bill regularly contributes to national magazines and newspapers and his television series have been viewed in 30 countries worldwide. Bill is based in Sydney and London with his wife and three daughters. Bill’s Italian Food is his eleventh cookbook. With more than 100 original recipes,Bill’s Italian Food takes inspiration from the diversity of Italian regional food to make the most of fresh seasonal produce. 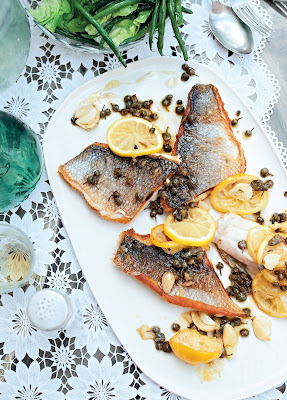 Concentrating on simple, flavoursome dishes with short ingredient lists and uncomplicated methods, the recipes in this book are divided by solution-driven chapters that embody Bill’s casual cooking and his spirit of generosity and sharing — approaches that perfectly reflect the Italian lifestyle. 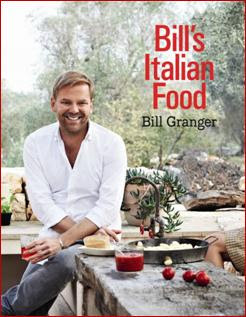 Thanks to Harper Collins Publishers Australia, The Food Mentalist has two copies of Bill's new cookbook 'Bill's Italian Food' to giveaway, valued at $49.99 each. To enter, simply leave a comment below (in 25 words or less) telling us what your favourite Italian dish is to prepare and why. ( Open to Australian residents only). Please make sure you leave a valid email address so you can be notified if you win. Entries close Friday 13 September @ Midnight EST. 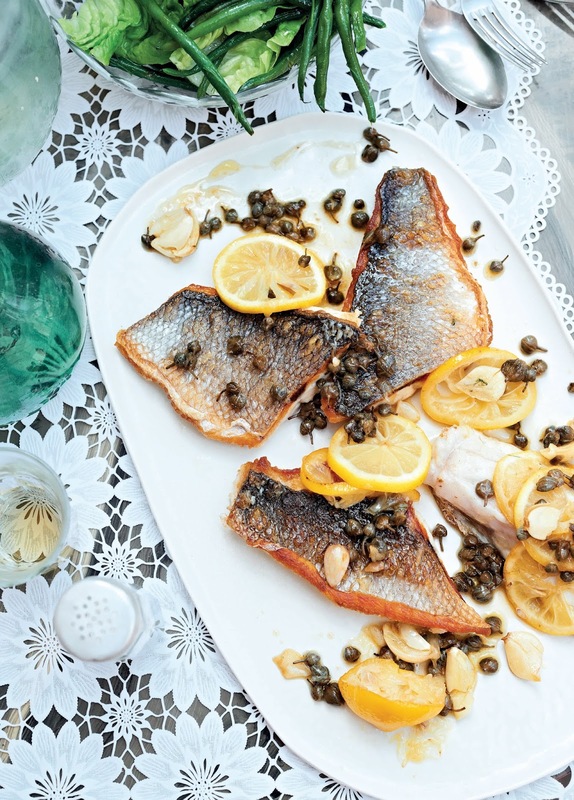 Featured below are two of the recipes featured in Bill's Italian Food - Classic baked ricotta cheesecake and Fresh pan fried snapper with capers and lemon. to cool. Reduce the oven temperature to 160°C. of juice and continue beating until well combined. little and leave the cheesecake to cool completely. 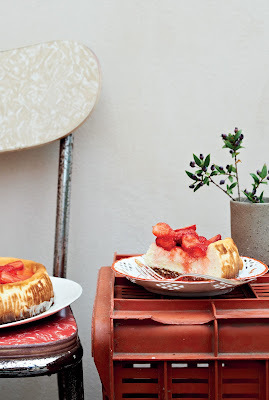 Spoon strawberries over the top before serving. Chicken Scallopini on a Wild Mushroom Risotto cake and wilted baby Spinach. Topped with a creamy white wine pan reduction sauce, finished with crispy leek. Baked with spinach, capsicum, cheesy sauce: guaranteed to please. Thank you everyone for entering. There are some delicious sounding meals! Keri Herberte & Keith Cole can you please send your postal details to me at thefoodmentalist@gmail.com and I will organise for your cookbooks to be sent to you asap. 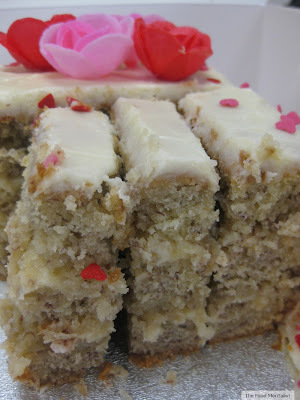 I really enjoy your blog.I cant believe Im a winner. Thankyou. Have emailed my details for the book.Can't wait to give a few more recipes a try out.. love Bill Granger, love The Food Mentalist !! Do you have a book out or any plans for one ?..